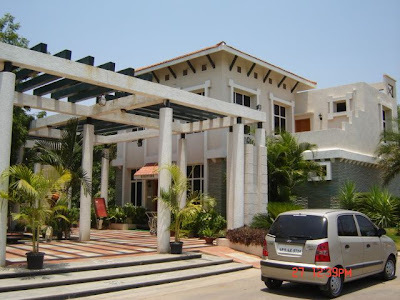 We went for a picnic to Pragati Resorts in Hyderabad and these are some of the pictures that were taken there of the resort. 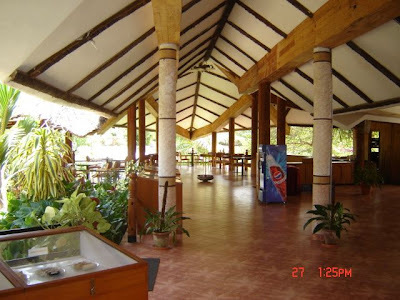 This is the entrance of the resort and on the right is the reception. This is the walkway leading away from the reception. 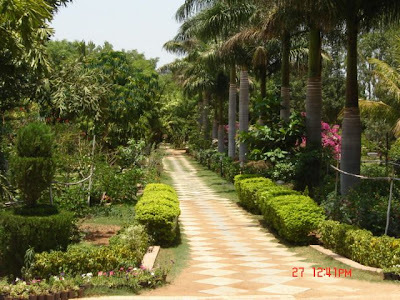 It has a lot of greenery and it is quite beautiful. 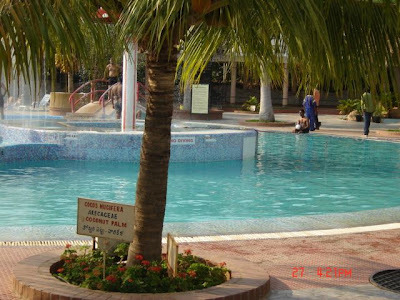 Swimming pool. It is not deep but there are a lot of slides. Careful if you are big made as you tend to roll over and your head hits the base of the pool. 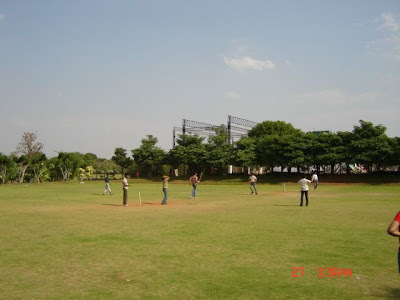 A nice ground to play cricket. A must do if you are in a big enough group. 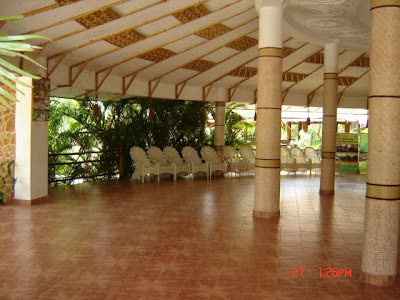 The portico around the swimming pool. Just cool to hang around. There are pool side rooms on top of this area but I can't seem to find the pictures. Will upload them as soon as I find them. 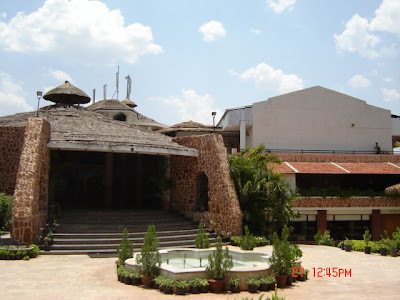 This is the outdoor restaurant. This place has 2 restaurants. One is indoor and the other outdoor. The indoor restaurant doubles up as a bar so is not very conducive to families having food there as it is smoke filled and noisy. The outdoor place tends to get very dark in the night. The restaurant overlooks a pond that have ducks in them and so it is quite a nice place to hang around. 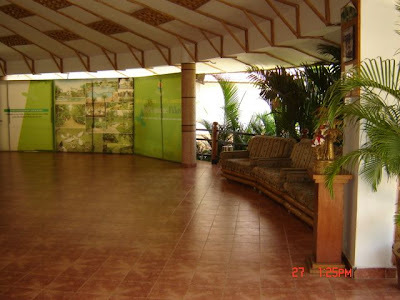 This is the entrance to the restaurant and the conference rooms. This is where you end up with once you enter the above place. Its a large sit out area. 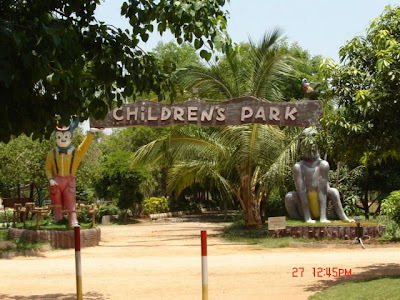 This is the entrance to the children's park. There are quite a few things to do in this park. 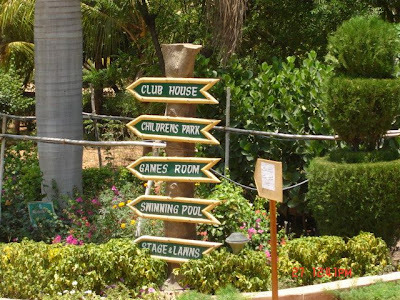 Signs to make sure you don't get lost in the place. How do you calculate productivity?